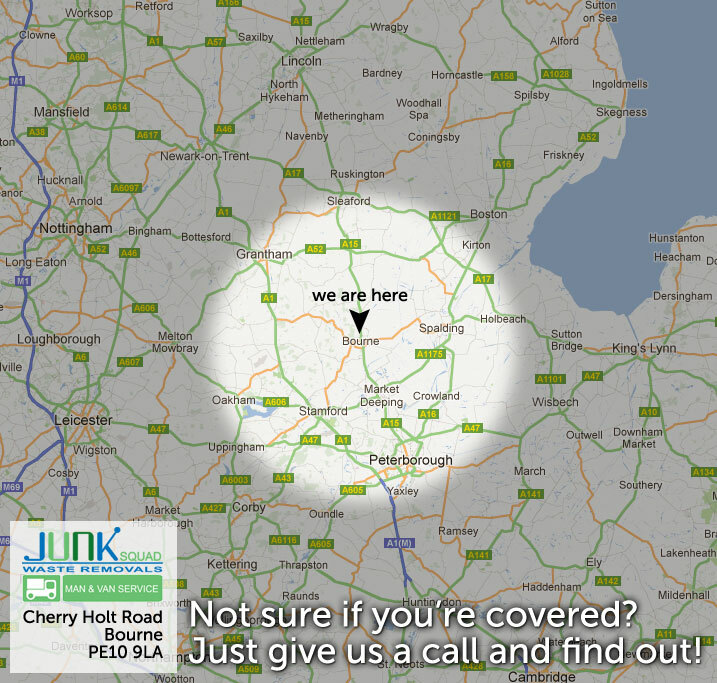 Junk Squad man & van service are able to offer waste disposal on a commercial scale. Our flexible & efficient commercial waste services are used by landlords, building contractors, retailers and property management companies for waste removal. As Bourne and Peterborough's leading commercial waste clearance company we operate our own waste transfer station that is constantly achieving an 85% recycling rate. 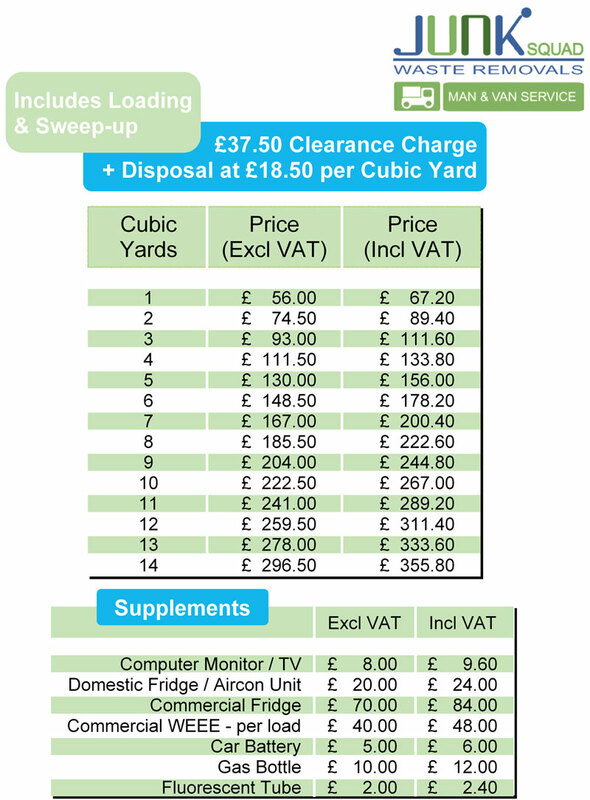 We offer supporting site waste management reports if required. Unlike our standard waste collection service the Wait & Load service does not incur a labour charge. This is specially designed for trade customers with their own staff on site to load the waste themselves. The Wait & Load service is an ideal alternative to skip hire when perhaps there are parking restraints or maybe restricted access. After the van has been loaded up with your waste it is taken away to our own waste transfer station to be recycled. A cost effective alternative to skip hire! Only charged for the waste taken.